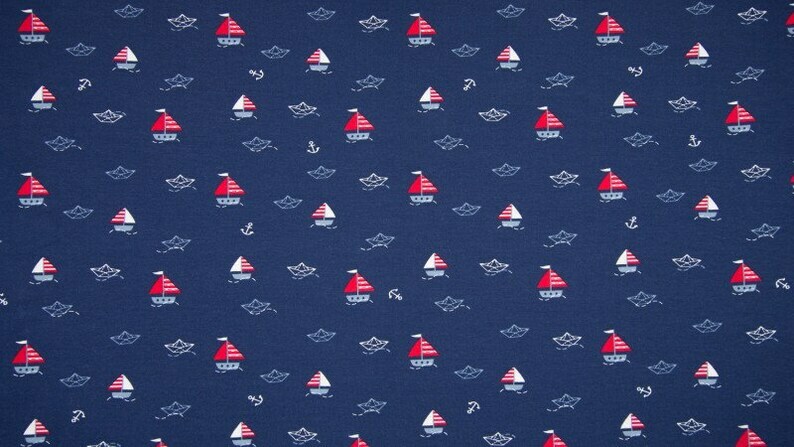 Timeless, maritime sailing ship motif on dark blue cotton jersey. 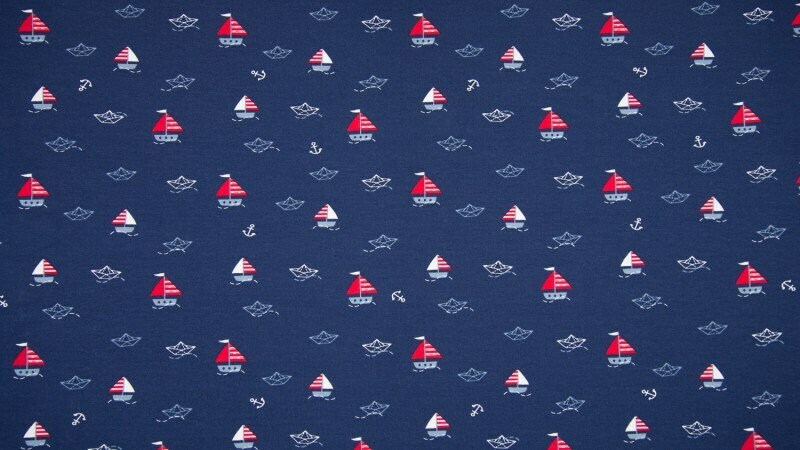 Children and mothers love this summery, martime motif in the classic color combination navy, white, red. A great eye-catcher again and again. Ideal for bloomers, shirts, dresses, beanies, loops and much more.